Copying and pasting virtual components for shared components on Enterprise storages removes internal bookkeeping properties. The map window allows selecting labels using Edit - Select All / Inverse / None commands. The map window allows selecting labels using Ctrl-click (Ctrl-click adds the clicked label to the selection, Ctrl-Shift-click removes the clicked label from the selection) or Ctrl-drag (Ctrl-drag adds the labels within rect to the selection, Ctrl-Shift-drag removes the labels within rect to the selection, keeping Ctrl pressed at the end of the rect selects labels with any part inside of rect, releasing Ctrl at the end of the rect selects labels entirely inside of rect). Both Ctrl-click and Ctrl-drag operate only on the labels that are currently visible on the screen and ignore labels hidden due to overlaps. The map window allows deleting selected labels using Edit - Delete. Labels components use a new icon. The Per-Record Style dialog allows creating a new field to store style data via a '(new field)' choice. 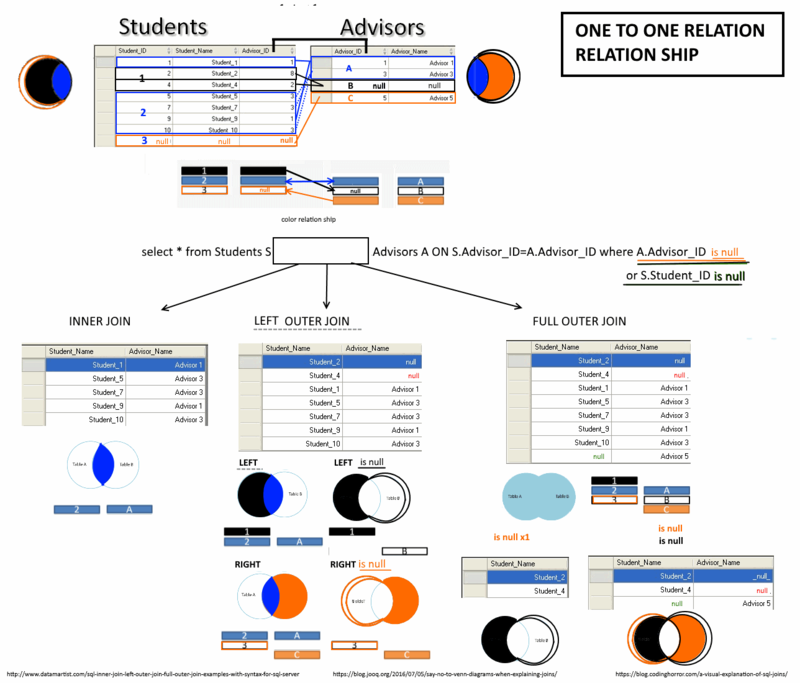 The choice is only available if the table supports adding new fields. The default name for the new field is 'Style' (localizable). If per-record formatting is turned off, but the table contains a text field named 'Style' (localizable), the dialog pre-selects it. The drop-down menu for sizes includes choices for 48 / 60 / 72 pt. 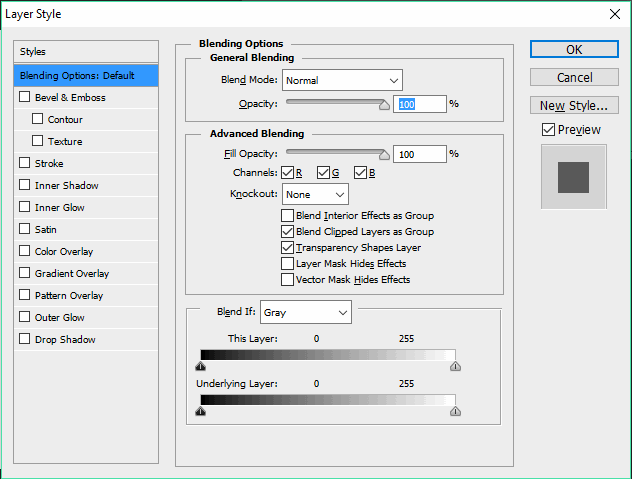 This is useful for layouts. (Fix) The layout window no longer fails to clip text frames to their extents. The query builder lists constants supported by the query engine. (Fix) Reading data from a TAB file no longer stops at objects with no geometry. (Fix) Reading coordinate system data for a MIF or TAB file no longer swaps center latitude and center longitude parameters for several coordinate system types. mfd8 docTurning on per-label formatting makes it possible to independently set the format of individual labels. i we create a label from scratch ( that create 3 components) , Does Per-Record Style is the same that per label formating but for label and drawing attach to a table (table has no style content and label need drawing to be create and drawing need table to be create ) ? When change color on selected item How can we see selected color (real time preview render on screen ) since the selection ( set to "red" ) hide the selected color choose in style panel ? 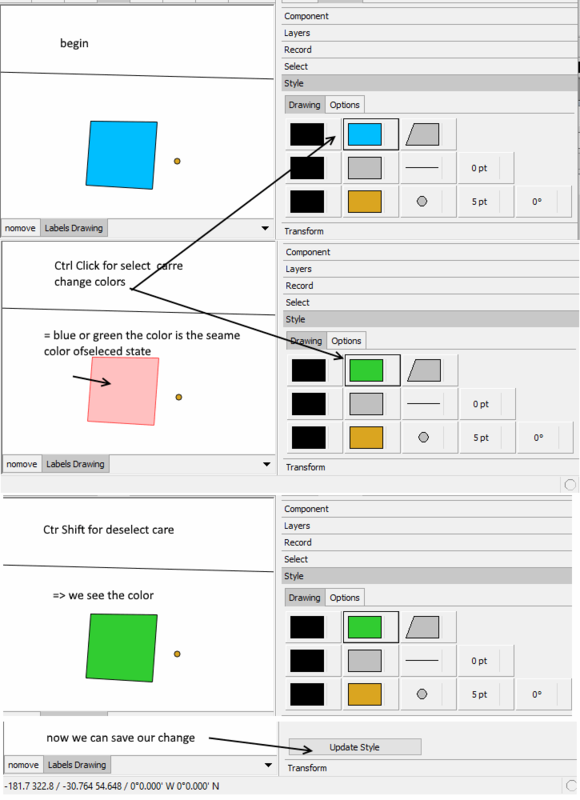 If i use 2 select item and change color the color apply to both item ( selected and not selected in drawing ) ...! I think i really don't undertsand the puroe of "Per record Style". You don't use Selection to do per-record formatting (synonym for per-record style). You alt-click on an object. Have you seen the video on per-object formatting? It is in the Gallery page. Does Per-Record Style is the same that per label formating but for label and drawing attach to a table (table has no style content and label need drawing to be create and drawing need table to be create ) ? Every labels component has a parent drawing, yes. That drawing can be used to manipulate the geometry of labels using tools specific to drawings. It is a service component, you usually do not include it in the final output (ie, if it is a layer in a map that is the final output, you turn that layer off), you include the labels component. Still, when working with the service drawing, you can set its style, and you can set it to use per-record style as well. Presumably you will use a different field to store per-record style for the drawing than for the labels (if you set both to use the same field, the styles won't make much sense, the style for a label is different from the style for, say, a line). Are there plans for callouts, possibly manually editable and with configurabel color, size and corners in the line in the Label Drawing? Yes, although we have been planning to tie how they look to label style which would dictate shape and corners and reuse existing colors. OK, userdefined colors for callouts probably are overkill. At this time after select any components in projects and go to contents . the contents panel show all items ( components , Layers , record , Select , Style,transform ) even some items we never be activate enable usable for the selected component ( table drawing Label..... ) right ? . The Contents pane does not have anything to do with what is selected in the Project pane. It shows information for whatever is the active layer in the active window. See the Contents Pane topic. 1)when test the Content -> Record for drawing . there is 2 way to undo change and save change . using the contextual menu ( 2 item undo change , save change) or the panel Add Record ( 1 item) ?. 3) why not a button call "undo record" near " add record " since contextual menu has 2 items : "undo change" and "save change" ? 5) In wich context "move to previous" or "move to next" can be use ? 6) we can select in creation mode the coordinate ( in table column) but can't do something ( delete or move ) !! 9) select duplicate location in drawing select all the duplicates ? I think some items are in process that ll be available in the next version !!! when test the Content -> Record for drawing . there is 2 way to undo change and save change . It sounds like you have confused what controls do in different circumstances. If you give a specific sequence of what you are doing that would be easier to comment on. For example, "Add Record" has nothing to do with an undo. Add Record is enabled in the Record panel when you have just commanded the addition of a record (object) using, say, the Create Point or Create Line tool. It applies to the record. Click it and you create the record. Record is just a synonym for "object" in a drawing since an object is just a record in a table. The three tabs are just three different types of information for that record. Value shows attributes, Coordinates shows the coordinates inside the geom field value, and Style shows either the global style values that apply to all objects in the drawing or, if per-record style is on, the specific style values for that record. Because there is nothing to undo until after you press the Add Record button. When you have alt-clicked an object, label, or record in a table. There is an example of that in the recent video on labels, I believe. Not true. Start creating a line and then after a few vertices, Ctrl-click on one of the coordinate rows in the Coordinates tab and then click the Delete icon, and the coordinate is deleted. Heck, you can even ctrl-click on several of the coordinate rows and when you press the Delete button all selected will be deleted. Create a line with, say, a dozen vertices. Alt-click the line and click the Coordinates tab. Ctrl-click several of the coordinates rows to select several of them. Drag the coordinate with the big handle and all the selected vertices will drag along with that one. Very convenient. Sure it does. Alt-click a line with several vertices in it. In the coordinates tab ctrl-click one of them and press the delete key. The system shows you a preview and when you click Update Record it deletes that coordinate. Use SQL for the above. it would be much more productive if you told us step by step what you are doing so we can advise you how to do it right. The issue was i don't remenber that i should use ctr click and alt click on drawing and record table to modify coords. I already done that in the past. I make also à Big mistake about content is relative to main open component not component select in project ( in project panel select is one click , open active is double click. Using mfd9 need really to take Time to understand all the new way to do things !!! ( Shortkey, index, function codenameg = gui labels , schéma new field). i watch the video about per label ... i was thinking all new style column could also be use to store default style to avoid reconfigure many default style .. but for now to have many default style of same drawing we need to copy/paste the drawing and create a default style ( default implicit ) . 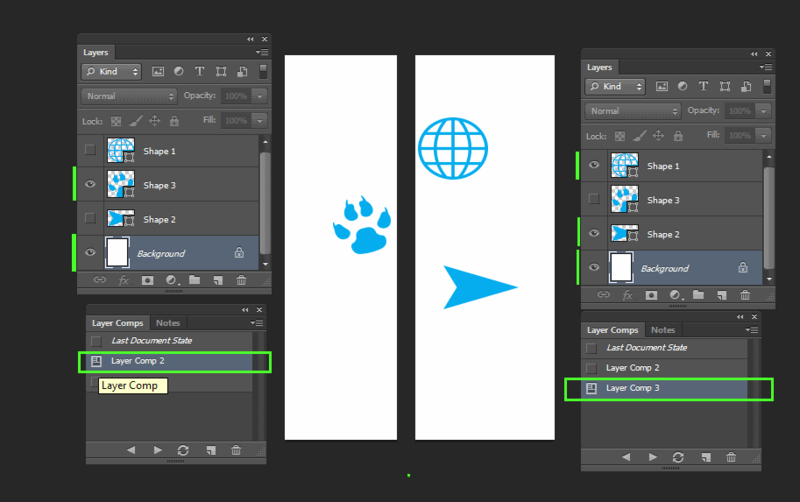 the way it work make me think of " layer comps" concept find in photoshop : it let us choose a group of visible item layer to show in case we have some layers we little change . the layer could be a copy of layer with differents " Layers styles "( colors effects ...style term in manifol )!! I don't test but style style1 column exist inside many drawing ... if all drawings in map have style1 column ( in table ) i will have to go to each drawing to set per style to style1 enable !! Hi guys, can someone please help me, i can't install the latest version of MF future "manifold-9.0.164.3-x64". The "Activation window" pops out, although I already activated Radian. I have allso an activated Manifold 8 licence. I paste in my serial number and he said that "the Serial number is not valid". So far I've used all the versions without any problems. You’ll need to read this announcement. ive read it all, but i didnt find the Trade option (125$) in the Store. Great. Now see the short and long answers here. Thank you! This was really helpfull!